There is some football being played right now, believe it or not. 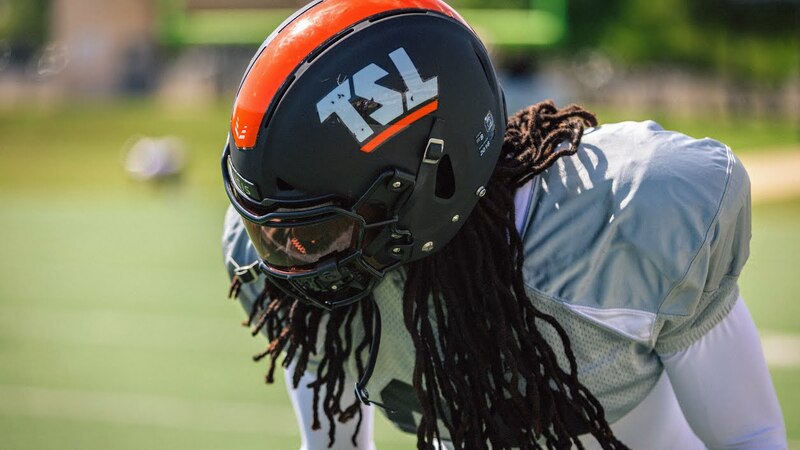 The Spring League just wrapped its second season and features several former NFL players and prospects looking to keep the dream alive as they practice and play in Austin, Texas. The Cleveland Browns were among 18 NFL teams who were officially credentialed to scout the start-up league. What do the @AtlantaFalcons @Patriots @Browns @Vikings @Chiefs @HoustonTexans @Lions @Panthers @RAIDERS @Chargers @dallascowboys @RamsNFL @Jaguars @nyjets @Ravens @Redskins @Buccaneers and @buffalobills all have in common? They were on site in #Austin scouting #TheSpringLeague! The most prominent name in The Spring League is Johnny Manziel, though it’s safe to say the Browns have no interest in their former spectacular draft flop of a quarterback. Some other prominent names include Zach Mettenberger and Ben Tate. One player who stood out is Karter Schult, a defensive end from Northern Iowa who spent the 2017 preseason with the Browns and is angling to get another shot. Team North’s Karter Schult (@karter_schult) was a monster over the past couple weeks at #TheSpringLeague and he earns Player of the Game honors!